Don’t miss out a perfect offer from Addition Elle Canada which is available now! The offer is based on BOGO. Buy one, get the second one for free. 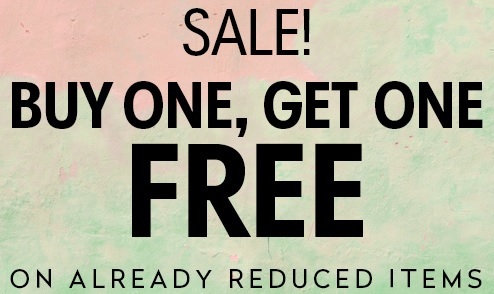 The offer is valid on already reduced styles only. You can enjoy this offer at Addition Elle Canada stores and online. Discount applicable on item of equal or lesser value, before taxes. Offer expires April 26, 2016. Addition Elle Canada also offers free shipping on all online orders of $120 or more. Official source of the information is Addition Elle Canada. For more details about the promotion visit your nearest Addition Elle Canada store location or official website.